Mark your calendar. 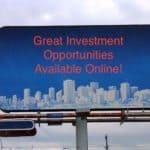 July 10th was a big day in the fight for increased access to capital in the United States, as well as the overarching timeline of the fledgeling crowdfunding industry. Title II of the JOBS Act mandated a lifting of the ban on general solicitation for private placement offerings, creating a new class of offering under rule 506(c). 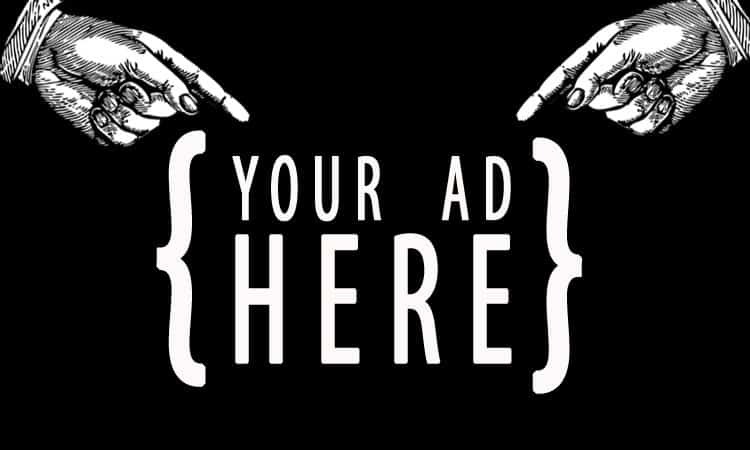 These offerings allow general solicitation (advertising) to accredited investors. 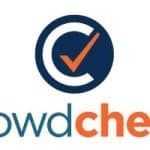 We caught up with EarlyShares CEO Joanna Schwartz and CrowdCheck’s Sara Hanks and Brian Knight to break down the meaning of Title II in depth. One thing is certain: The SEC is moving forward on the congressional mandates presented in the JOBS Act. 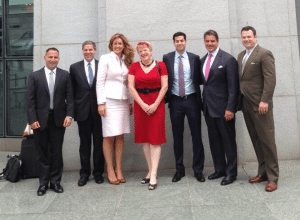 Schwartz told Crowdfund Insider that EarlyShares CSO Heather Schwarz-Lopes was recently involved in a meeting that included a contingent of crowdfunding industry stakeholders (pictured, right) and SEC Chairman Mary Jo White in Washington, DC. We reported on revelations coming from that meeting, including the fact that meaningful movement toward a comment period for Title III is expected soon. 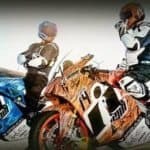 Overall, one gets the sense that there is cautious optimism within the crowdfunding industry in light of what looks on the surface to be a more active Securities and Exchange Commission. 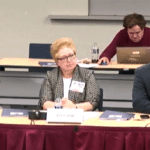 However, this iteration of the Commission is coming to a close as the SEC prepares for two new Commissioners. Commissioner Paredes and former Chariman and current Commissioner Walter will move on from their positions and make way for two new additions, Kara Stein and Michael Piwowar. Both are currently pending congressional approval. First, the new rules have to hit the Federal Register. We’re told that this could happen today and should happen by Friday of this week barring any setbacks. The version in the FR is the “official” version of the rule. The SEC’s final rule simply needs to be proofread and translated into a format specifically for the FR. Once the rule hits the register, the 60-day clock begins ticking. If the rule were to hit the register this week, general solicitation would be allowed sometime around the second week of September. The Old Way Remains: As expected, the traditional Rule 506(b) offerings will be unaffected issuers will be free to continue to operate under the current system. Accredited Investor Verification: Under the new Rule 506(c), issuers will be required to take reasonable steps to verify accredited investor status, which can include checking an investor’s tax returns. In a big upgrade from the rules proposed last August, the rules will provide a safe harbor for relying on 3rd party verifier services (such as the service SeedInvest provides for its issuers). Advance Form D Filing: To use 506(c), an issuer will have to file a new Form D, 15 days in ADVANCE of any general solicitation. It’s unclear whether this will be a public or private filing, though it to be private, which would alleviate some concerns. There would still be a question of how this may slow down offerings and create an additional hurdle to using 506(c) offerings. As pointed out by Joe Wallin in today’s live blog, this advance filing requirement could also create a trap for the unwary who generally solicit prior to making the appropriate filings. There are apparently very harsh penalties for failing to file the advance Form D, including a bar from using Rule 506 (including 506(b) or 506(c)) for 5 years or 1 year after making the appropriate filing. Form D Filing Information: Issuers will have to file certain “solicitation materials” with this advance filing, which will likely at least include the general solicitation materials as well as reducing the ability to decline to answer certain questions in the Form D. It could also require the filing of the proposed terms of the offering or business plan, which could also create some complications. Bad Actor Rule Changes. The SEC slightly narrowed the bad actor rule changes since last August to include covering executive officers (not just officers). There has been some concern about burdensome diligence requirements imposed on issuers by these rules. Rule 156 Changes. There will be changes to Rule 156 regarding investment company sales literature to extend those rules to also cover private funds. We’ll know more about these proposed changes once the rules are released. Hanks sees this splitting issuers into two categories: well-advised issuers and ill-advised issuers. The key term here is “written communications,” which carries a much different meaning in the world of securities law than the term suggests. More than words on paper, “written communications” includes (but is not limited to) TV appearances, video ads and other forms of digital advertising. Sorry, issuers. There is to be no safe harbor on YouTube. Joanna Schwartz also says that legal general solicitation removes a huge pain point from platforms like EarlyShares. Traditionally there was a demand for an intermediary and an investor to establish a “substantive relationship” prior to any money exchanging hands. 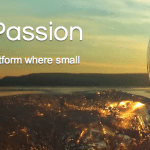 What is a “substantive relationship?” It’s vague, but in practice accredited investors signing up to the EarlyShares platform had to wait 30 days before seeing any deals. 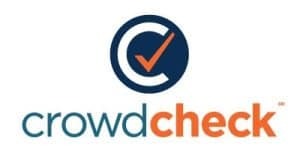 The CrowdCheck team says that they have already seen what they are calling “dodgy communications” taking place today in advance of any meaningful change in laws surrounding general solicitation. This suggests that the SEC will have to be diligent in enforcement of best practice, especially early on. Now focus will shift to Title III, the disruptive piece of the JOBS Act that enables equity crowdfunding in the US. General solicitation is also core to Title III. Without it equity crowdfunding couldn’t exist. 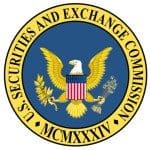 However, Title III focuses on non-accredited investor participation, and that will likely lead to a more cautious interpretation of the term “general solicitation.” In short, rules are expected to be focused on the crowdfunding portals and intermediaries themselves with reduced leeway for social media. 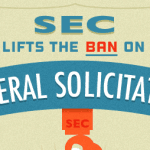 The SEC has launched a secondary effort in tandem with the lifting of the ban on general solicitation. 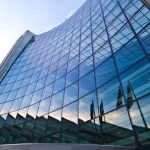 They have proposed rules that would open a firehose of data between the private markets and the SEC, where issuers would be asked to submit any and all solicitations to the SEC online before those solicitations see the light of day. All of this happens only if said rule is adopted. 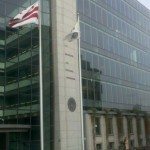 Again, the SEC will soon welcome two new Commissioners and there is no guarantee regarding their view of rules that were moved to public comment before their tenure began. 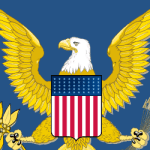 There are only around 8 million accredited investors in the US by the current definition. Of those 8 million investors, only 3% are active angel investors. Another truism about accredited investors: many of them are elderly, and research suggests that the elderly are more susceptible to scams. 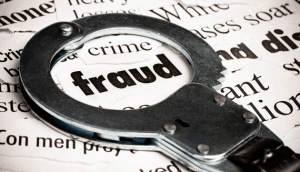 This may present an opportunity for fraudsters, especially in light of new rules on general solicitation. Brian Knight of CrowdCheck suggested that this presented a reason for caution on the part of the SEC. “The broader the sweep of general solicitation, the more you can say, the less the government’s going to be actively monitoring it, the more likely you are to see some of this type of activity,” he said. 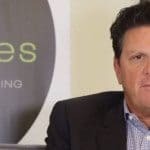 This entry was posted in Featured Headlines, General News and tagged accredited investors, advertising, brian knight, crowdcheck, earlyshares, equity, general solicitation, joanna schwartz, private placements, sara hanks, seedinvest. Bookmark the permalink.